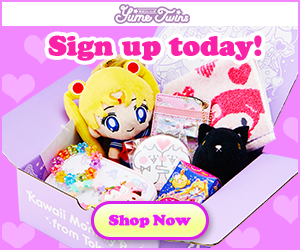 A new Blind Box & Bag Roundup post?! 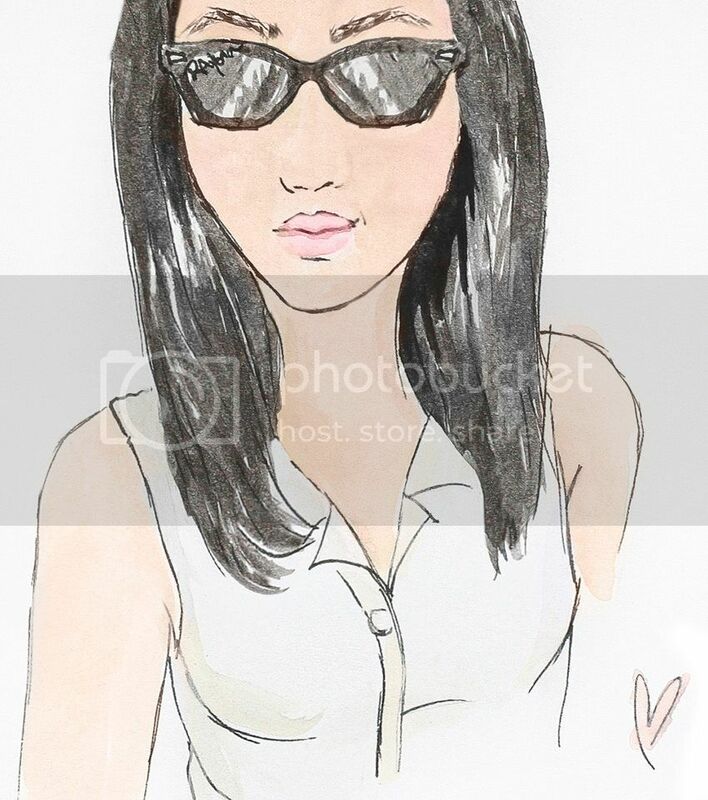 Say what! I know it’s been FOREVER (like a year) since the last BB&BR post but hear me out, I just haven’t been into blind boxes/bags lately. In fact, these are the first blind boxes that I’ve bought in almost a year. Sure, I still think that they are adorable but I just haven’t been feeling them lately. That is until I saw a bunch of blind boxes at Target that I just couldn’t pass up. Things have been a little rocky for me lately so anything to bring a little extra happiness into my life is a-okay in my book. Opening blind boxes have always put a smile on my face so I thought “why not?”. 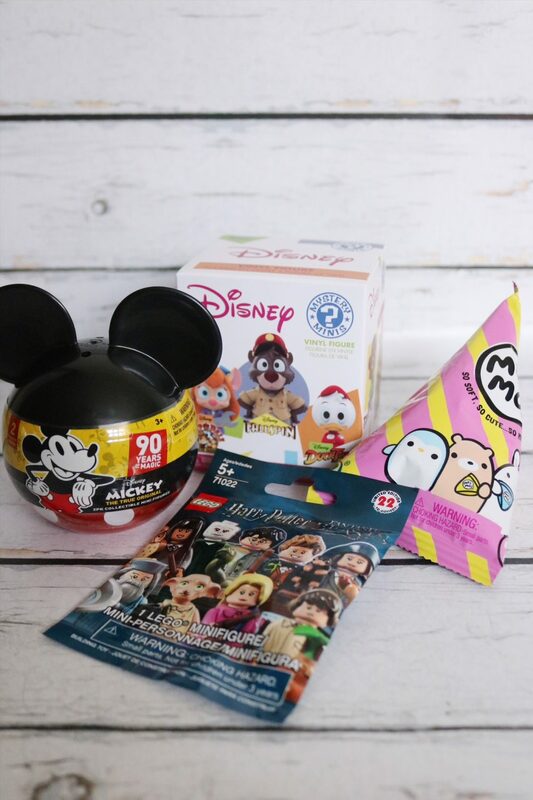 While at Target last weekend I picked up a couple of Funko Disney Afternoon Mystery Minis, some Harry Potter and Fantastic Beasts LEGO Minifigures, a few 90 Years of Magic Mickey blind bags and two squishy blind bags. 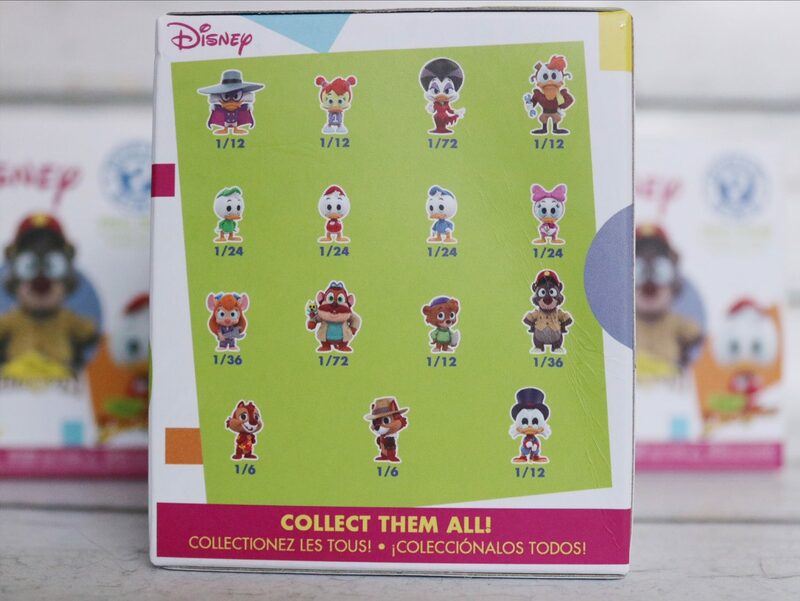 Today, I’ll be talking about the Funko Disney Afternoon Mystery Minis! 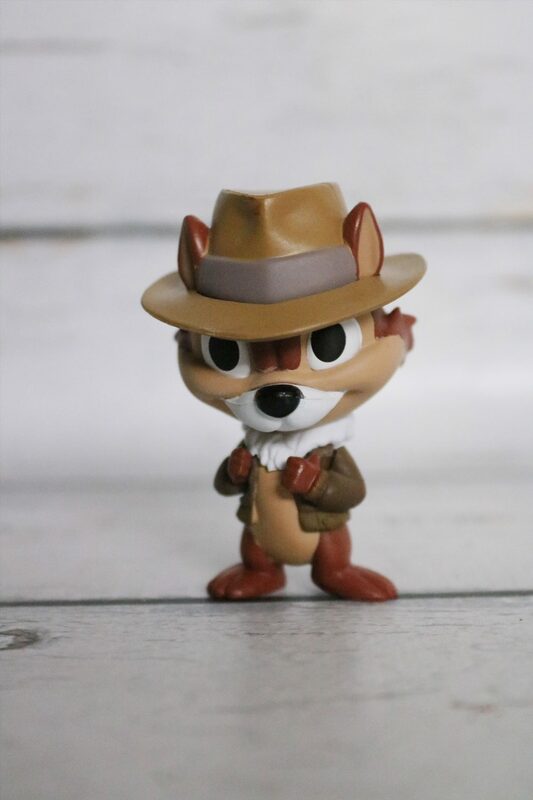 One of the sole reasons I picked up some of the Funko Disney Afternoon Mystery Minis was because they were on clearance (#sorrynotsorry). These mystery minis came out last year but they never really caught my eye (until I saw that clearance sticker!). 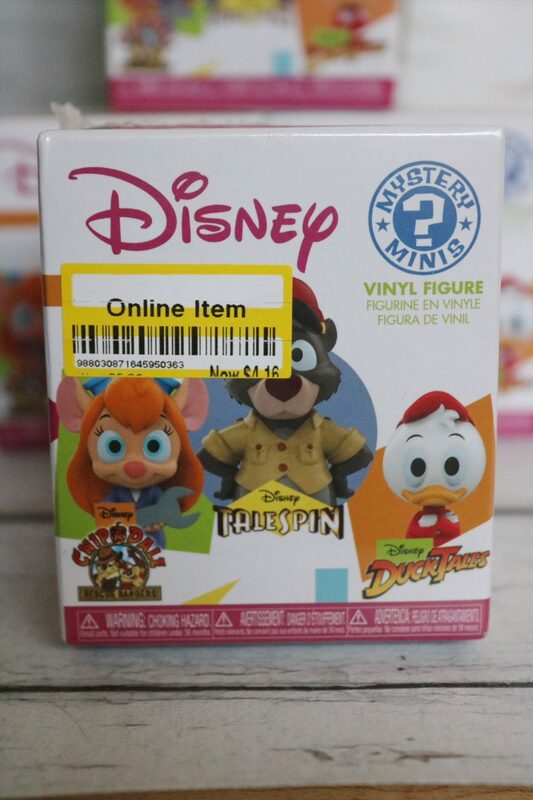 Originally these Funko Disney Afternoon Mystery Minis were priced at $6.95 and were then marked down to $4.16 and later marked down to $2 (sold!). I grew up on “The Disney Afternoon”, which was a created-for-syndication two-hour animated television programming block on Disney Channel. 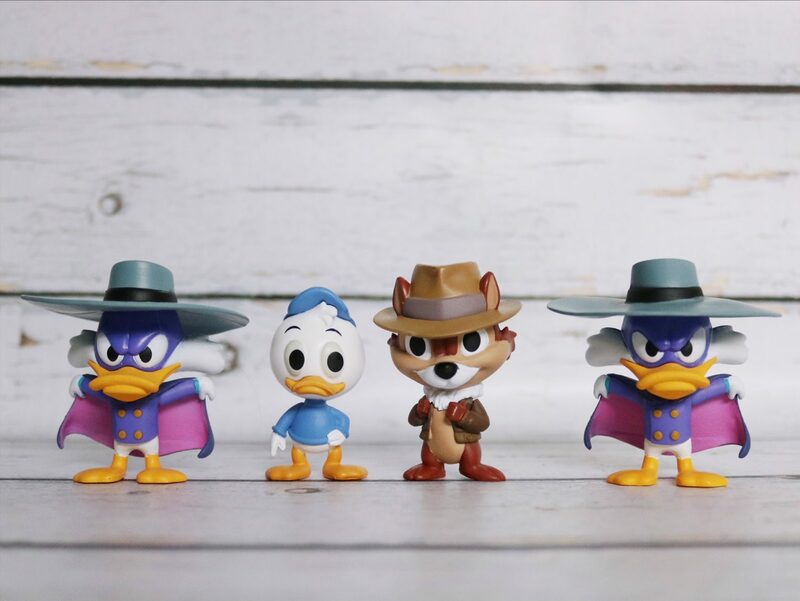 I loved shows like Chip ‘n Dale: (aka my favorite Disney characters) Rescue Rangers, DuckTales, Darkwing Duck and TaleSpin (ahh the good old days of Disney) so I was super excited about these figures. 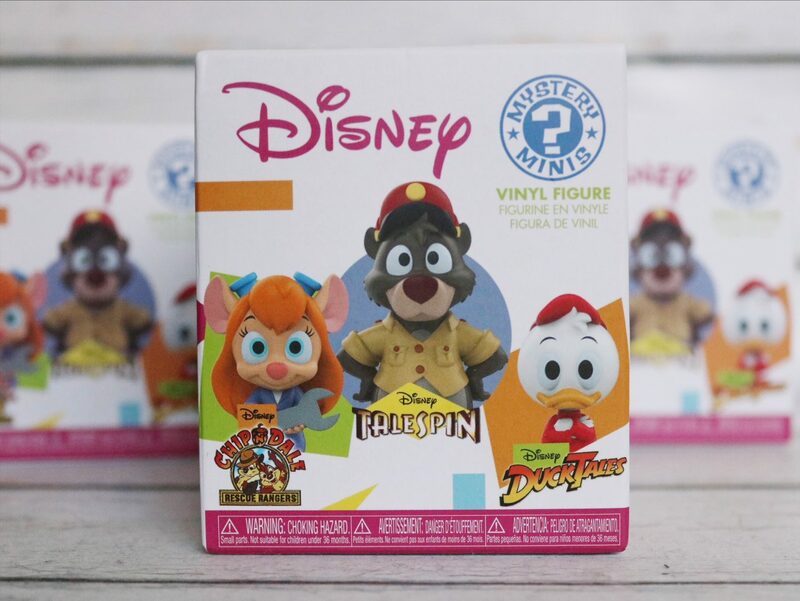 On the front of the box was Gadget (from Chip ‘n Dale: Rescue Rangers), Baloo (from TaleSpin) and Huey (DuckTales). 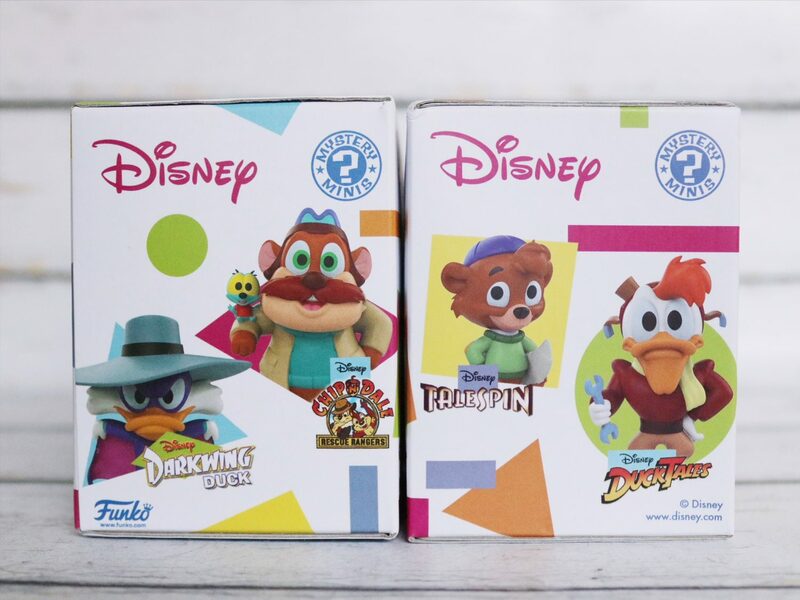 And on the sides of the box you have Darkwing Duck (from Darkwing Duck), Monterey Jack (from Chip ‘n Dale: Rescue Rangers), Kit (from TaleSpin) and Launchpad McQuack (DuckTales). Obviously I was crossing my fingers for either Chip or Dale (or both!). But since all of these characters remind me of my childhood and feel me with nostalgia, I really didn’t mind which figures I got. In the end I got two Darkwing Ducks (boo for doubles), Dewey and, wait for it, CHIP!!! Yay! Love blind boxes and blind bags? Be sure to check out Blind Box & Bag Roundup 01 – 44 HERE!